Courtesy of Windsor Real Estate Group. RARE OPPORTUNITY BUILDERS MODEL HOME NOW FOR SALE! Rural setting, NO CITY TAXES! Summerfield Elem, Northern Middle/High, 20 min to PTI Just off of Strawberry Rd adjacent to Polo Farms. The Hickory has it all! 4 spacious bedrooms, 3.5 baths, formal dining,Study&Game room. Owner’s Suite on main level has huge walk-in closet. Owner’s bath has double vanity, granite countertops, separate shower&garden tub. Gourmet Kitchen! Open Concept floor plan, lots of natural light! NEW HOME, BECAUSE YOU DESERVE IT! Directions: Battleground North, Right on Strawberry Road, Right on Polo Farms Road, Left on Mallet, Left on Lunsford Road. Home on left. 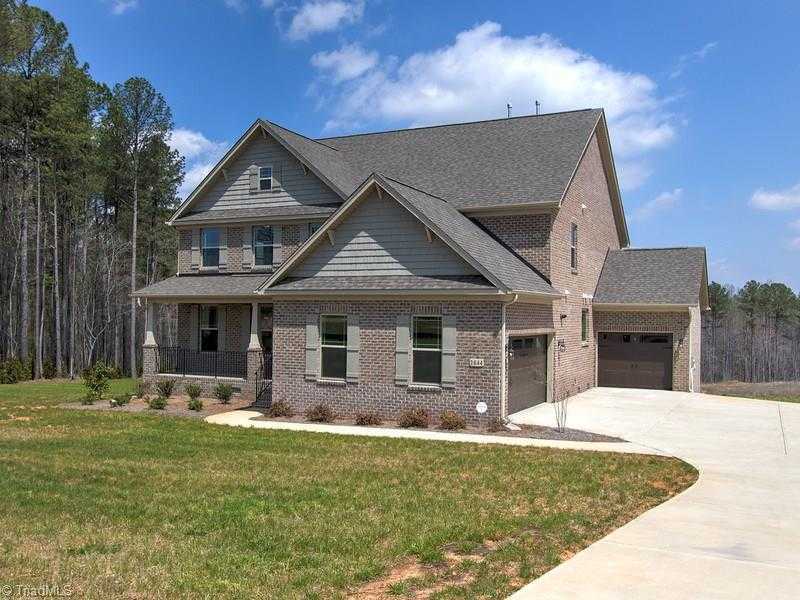 Please, send me more information on this property: MLS# 916005 – $475,000 – 2644 Lunsford Road, Summerfield, NC 27358. I would like to schedule a private showing for this property: MLS# 916005 – $475,000 – 2644 Lunsford Road, Summerfield, NC 27358.